Max for Live devices and more. PALLAS is semi-modular: That means you can play it already without touching a single patchcord, or open the door to new galaxies of sound by patching multiple patchchords in the Patch panel. BENGAL is a semi-modular FM synth: That means you can play it already without touching a single patchcord, or open the door to new galaxies of sound by patching multiple patchchords in the Patchpanel. 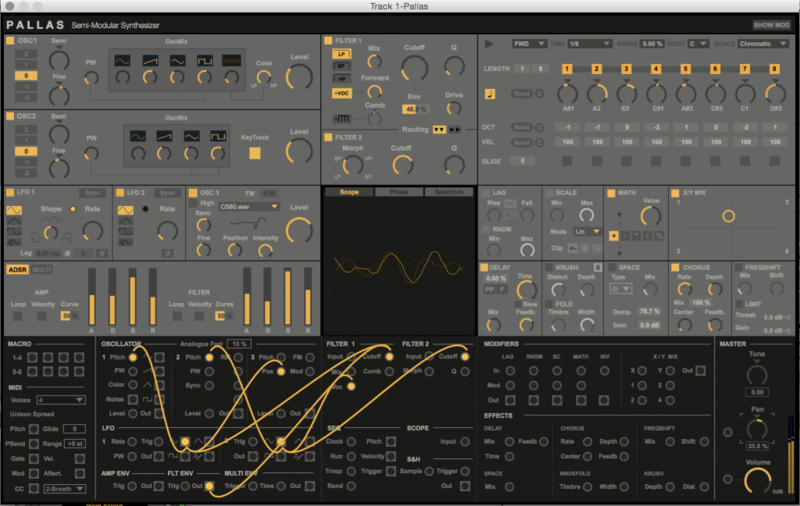 The OSCiLLOT Modular System – a fully modular system for Ableton Live. New: The OSCiLLOT Modular System – a fully modular system for Ableton Live.